Choosing your domain is just the first step in building your online presence. Shouldn’t you make sure you start your journey with the strongest domain in business? At .CEO, we are more than just a domain registrar. We are a platform designed by CEOs for CEOs, and we are dedicated to delivering the highest-quality experience to our members. Unlike other domain registrars that sell domains on behalf of domain managers, .CEO is both the Registry and manager of the .CEO Brand Top-Level Domain. That translates to total control of your experience, including our superior customer service and an end-to-end domain management solution. Get your new .CEO Domain working for you. 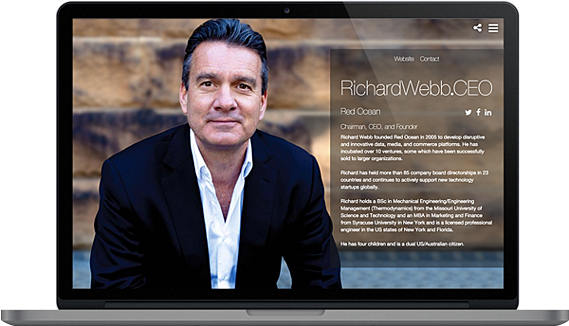 With a wealth of complimentary customization options, including our Profile Page Design Manager and simple redirect options, you can get your professional domain resolving to a gorgeous executive Profile Page or existing professional bio in minutes. Ensure you do not lose access to your .CEO with our simple renewal options. You can choose to purchase your domain from one to five years or choose to auto-renew. With our simple renewal options, you can ensure that you never lose your domain to another competitor. Experience our superior customer service. Our VIP Support Team is here to help you, whether you would like to take advantage of our VIP Profile Page Creation service or are experiencing technical difficulties, rest assured that a real human will be reaching out and taking care of you. Interested in learning more about a .CEO professional domain? You can learn the top five reasons why a .CEO Domain can help you build your personal brand, read the latest from our member-led blog Story.CEO, or download our free members feature. Ready to get started with your .CEO Domain? Click here to claim your .CEO or search available domains below.